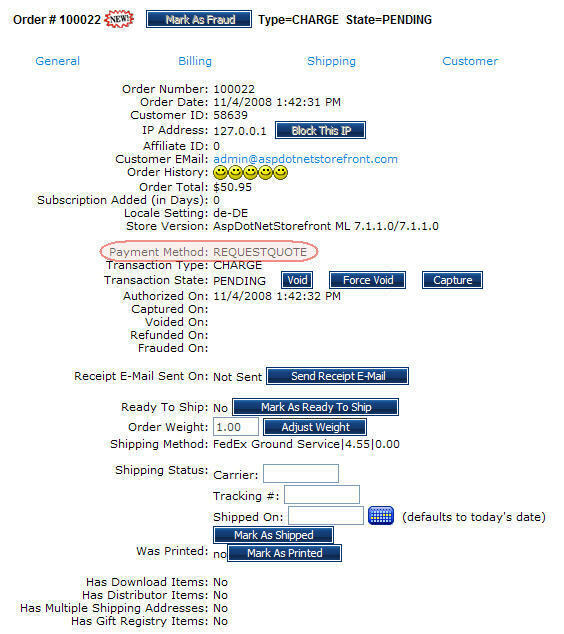 This method does not actually collect any payment information from customers. Store admins will be notified of the new order, and must then provide the customer with quote/pricing information (generally through email, though this can be handled however they desired as it is done outside of the software) for the products that were 'ordered'. 1 - To use "Request for Quotes" as a payment method, in the admin site, go to Configuration → Site Configuration Wizard and check the box beside Request for Quotes or add 'Purchase Order' (no quotes) to the PaymentMethods AppConfig. 3 - After the order is completed a confirmation will be received. Now, it is up to the store owner to contact the customer about the custom quote request. 4 - It may now be viewed by the admin in Orders > View/Manage Orders. 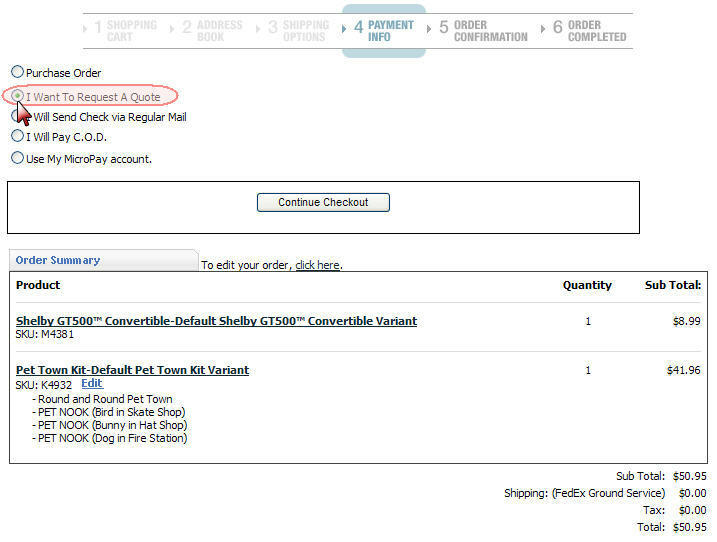 You will notice that "REQUESTQUOTE" is the payment method indicated.